Heart disease, cancer and stroke are the three leading causes of death among women. Interestingly enough, they are also preventable by healthy lifestyle choices and routine checkups. Mark your calendar so you won't forget mammograms, chiropractic visits, and other annual exams. Many women are more likely to be familiar with their family history. Let your doctor know what diseases and conditions are on your family tree. Being aware of this health history will help you and your health-care team build a plan to incorporate healthy habits in your life and the lives of your children. When reviewing disaster plans of action, flight attendants on airplanes always instruct parents to fit themselves with oxygen masks first before helping their children. The lesson is simple. You can't take care of others unless you take care of yourself first, at least in matters of health. 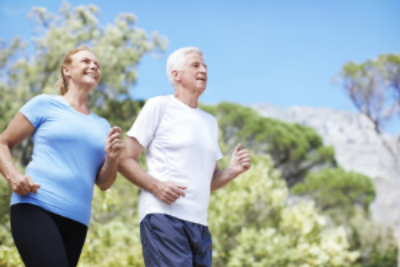 Studies show that maintaining an active lifestyle increases health and quality of life. People in their seventies are earning college degrees, publishing books, and starting companies. Frenchwoman Jeanne Calment, who at 122 was the oldest person ever documented, fenced, cycled, and rapped! It's never too late to pick up a yoga mat, violin or paintbrush.